Hello Fresh is meal kit delivery service that is Vegetarian-friendly, allergen-friendly, and flexible. It offers a variety of high-quality dishes that will suit your dietary needs. Not only this company provides tasty recipes, but it is also very affordable. 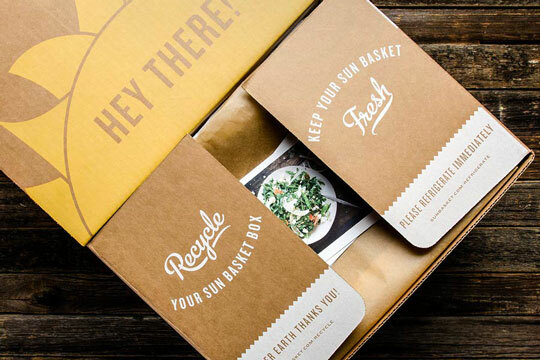 This company is a meal delivery service that offers non-GMO and organic products. The top chefs prepare the recipes, and all the ingredients are of the best quality and always fresh. They deliver to your home once a week. Sun Basket has one of the most impressive selections of dishes out there: they offer a staggering 24 different meals every week to their customers. 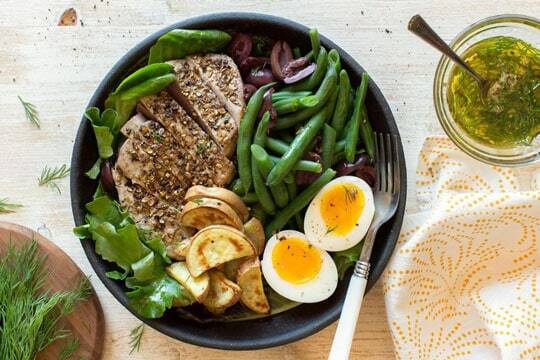 However, these dishes are actually divided between 2 meal plans. Their Classic Meal Plan features a choice of 18 meals, while their family plan has 6. Basically, Sun Basket caters more to people who live alone, although their family meals are more than decent themselves. No matter what meal pack you go with, you still have the options for gluten-free, paleo, and vegan diets, among many, many more. Simply put, Sun Basket is one of the most diverse meal delivery services available today. Then you have Hello Fresh, which may not have as many options, but still has more than a decent offering. The company has 16 meal plans that are divided between 3 meal plans, including Classic, Family, and Vegan plans. Unfortunately, Hello Fresh is not as nearly as flexible as Sun Basket. Their Vegan Plan doesn’t allow you to choose too many dishes nor does it allow to mix ingredients from different meal plans. Nonetheless, if you are not satisfied with one of their plans, you can easily switch to another one next week with the help of their handy mobile application. There is obviously no scientific measure that can determine the tastiness of meals, so this category might be a little bit subjective. And even though both services provide delicious meals, we have to note that with Hello Fresh, you will have meals that fall on the less exciting side. They tend to overly-portion their carbs and under portion vegetables in most of their meals. In some cases, you will be forced to add a couple of extra vegetables to make your meal seem complete. When it comes to nutritional quality, both services do a great job of sourcing their ingredients from top local suppliers and artisans. All of the vegetables they supply are always fresh and nutritious for your body. Sun Basket also has energy-filled breakfast options, which will not only keep your taste buds satisfied, but will keep your body energized for the entire day. With that being said, if you’re looking for mainly organic food, then you should go with Sun Basket. While not all of their ingredients are organic, most of them are, plus you will get a chance to check which ingredients are and which aren’t organic on their website or app. This also means that you’ll have to pay more for your meals, but if you want to get top quality you will also have to pay top dollar for it. Moreover, as we already mentioned that Hello Fresh doesn’t have any gluten-free packs, so if you’re looking for those options, you’re completely out of luck. They do, however, have an option that will give you three gluten-free meals a week. The only problem is, you have to pay an additional fee for this option. This will only make your subscription more expensive and kill the entire point of having free delivery. From Sun Baskets twenty-four different meals per week, we can surely say that you have a wide array of options before you. In their menus, you can find something for any dietary preference you might have. From gluten-free dishes to vegetarian ones, which only adds to the diversity to this meal service as of whole. Hello Fresh will offer, you might say, some more traditional approach. But nonetheless, from their plans, you can pick something that will fit you perfectly. Their week plans are something that is simply astonishing. You can switch between these. However, you can do that during the week. Our vote in this category goes to the… Sun Basket. Their recipes are simply more diverse than Hello Fresh’s. This is more than enough for us to award them victory in this category. Employees in Hello Fresh, pack the ingredients in special boxes with included ice which will keep the dishes fresh when they arrive at your home. This insulated packaging is designed with recycled materials. Their shipping is free, and the meal company delivers food in 48 states, except Alaska and Hawaii. The packaging is environmentally friendly, and you can safely use their reusable icepack again. Inside the box, you will find recipe cards which also includes information on how to properly store the food. They will also show you how to save proteins and meats. They charge the shipping $6.99 which and deliver to meals to 47 States in Continental U.S, except Montana, Hawaii, Alaska and some parts of New Mexico. Switching plans – You can change plans; it is a simple process. Also, you can choose a different number of meals received per week and the serving sizes. 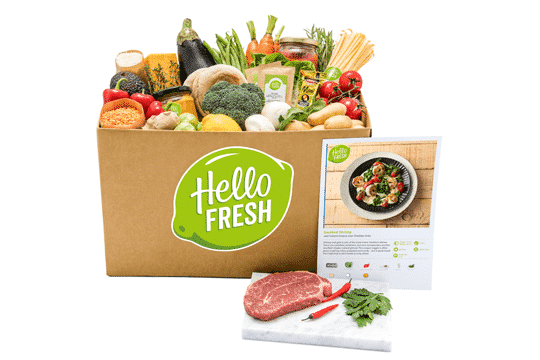 Cancellation – Hello Fresh meal delivery kit allows you to cancel or skip a delivery week. You need to cancel/pause by 11:59 PM PST five days before your next scheduled delivery. Refunds – If you are not happy with your Meal Box or any part of it, you could reach out to their customer service within the first five days. The company will give you credit for that meal or ingredient, and in certain situations, issue a partial or full refund for it. Gift – Through the Hello Fresh site or App, you may purchase or/and receive Gift Cards. 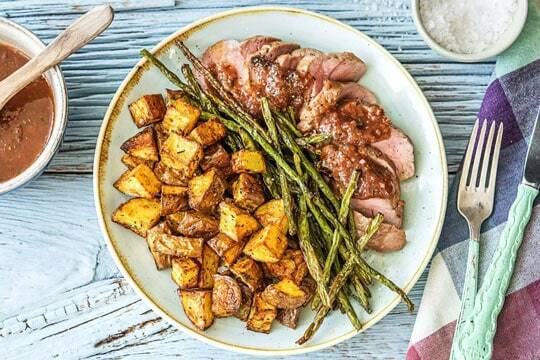 Free Trial – This meal kit delivery service sometimes provides discount promotions, free trials, or other vouchers. Customizable – Both the app and website are user-friendly. You can change your meal preferences, choose your weekly recipes, plans when needed, change your payment method, and register. Switching plans – It is easy to change plans if you don’t like what is on the menu. Cancellation – The Sun Basket allows its clients to skip or cancel a delivery week at any time. But you won’t be able to cancel the order if you have meal delivery is already ‘’confirmed’’. Refunds – If you are not happy with the food you receive, you get a full refund. Free Trial – Sometimes, Sun Basket can offer a free trial. Customizable – It is easy to register, change meal plans, specify your food preferences, choose weekly recipes and change your method of payment. In the end, both companies provide good value for your money. Furthermore, they are great for beginners that don’t know their way around the stove but still want to learn to prepare meals all one their own for the first time in their lives. But since we have to make a recommendation, we definitely have to go with Sun Basket. The company simply has more meals to offer, more dietary options for their users and their meals are surprisingly easy to cook considering they are much more complex than the ones your average meal service. Our winner is also pretty committed to delivering sustainably sourced and organic ingredients that will keep your body powered and your body in top shape. Try them out and you’ll see that their diverse recipes will do you only good!